The difference between a ruling based on Equal Protection and one based on Due Process may at first seem like the stuff for Ivory Tower law professors. In the end, as we all know, the ban is unconstitutional (though, Judge Heyburn's ruling is stayed for now, so gay couples cannot marry just yet). But the difference matters. It matters because we are still trying to figure out the reach of Windsor. It matters because we need to know which arguments will be most persuasive to the next judge, the next appellate court, and the next time a gay marriage case reaches the Supreme Court. It matters because we have no idea how Windsor will impact other areas of law if it is narrowed or limited in some way. Windsor's power is at the mercy of the courts and judges that interpret it. Therefore, any interpretation of Windsor matters for the next case. The preliminary question before this (and any) court is how to resolve the case, or which law or standard to use. As the litany of marriage equality cases before and after Windsor shows us, we have two options — equal protection and due process — that are sometimes talked about in tandem. Justice Kennedy’s opinion neither articulated a standard of review nor discussed the fundamental right to marry, despite having had the opportunity to do so. Although Windsor did not need to squarely address the application of the fundamental right to marry to reach its holding, Justice Kennedy’s choice to remain silent on the question is significant. Justice Kennedy could have much more easily resolved the case by finding that DOMA implicated a fundamental right. Instead, Justice Kennedy said that DOMA violated the "dignity" entitled to gay persons, discussed how it selected out a class of persons that New York State specifically chose to protect, and tossed the ban. To Judge Heyburn, this means that Justice Kennedy and his sharply divided court is not willing to officially declared the right involved here fundamental. Undoubtedly, the Tenth Circuit was willing to do so. As I discussed previously, Judge Lucero's decision makes clear that the right to marry is a fundamental right regardless of who's wearing the dress and who's wearing the suit. The Supreme Court has said as much 14 different times, from Griswold v. Connecticut to Loving v. Virginia, from Turner v. Safley to Zablocki v. Redhail. Judge Heyburn understands this, but wonders: If the right was so fundamental in all those marriage cases that predate Lawrence v. Texas and Windsor, why did Justice Kennedy decline to state that the right implicated in Windsor was also fundamental? Because of the Supreme Court's failure to take that step, doing so now would be "a dramatic step." I don't know how dramatic it would be: a marriage is a marriage. But it is too dramatic a step for Judge Heyburn. But he has more tools in his arsenal. Having concluded that this is an equal protection case, a case where similar persons are treated differently, he argues for and concludes that antigay discrimination is entitled to heightened scrutiny. Once he reaches that point, the ban on gays marrying collapses. No purported justification for the ban could ever meet the strict requirements of heightened scrutiny, as several of the decisions predating Love have discussed. These arguments are not serious indeed. 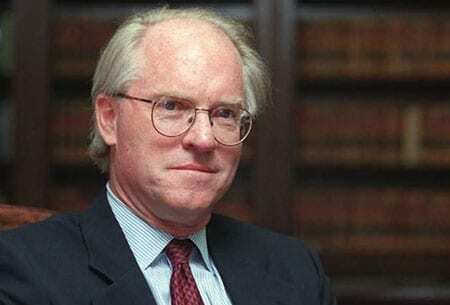 Still, I am left a little puzzled: Judge Heyburn's decision to go out on a limb and declare that antigay discrimination merits heightened scrutiny, another step the Supreme Court had the opportunity to take but declined to do so, seems to reflect an eminently reasonable boldness that he refused to show with respect to due process. Why he felt the need to narrow Windsor based on what Justice Kennedy could have said about the Due Process Clause and not what he could have said about the Equal Protection Clause is entirely unclear. A final word on next steps: The decision and order are stayed. There are no marriages now. Governor Beshear has vowed to appeal the decision up to the Sixth Circuit Court of Appeals, which has cases from Michigan and Ohio waiting for hearings in the coming months. The court may consolidate all cases and hear the marriage issue at once in August, or the court could hear one case and then send back all other cases for review based on its ultimate decision. The earliest we will hear from the Sixth Circuit is August. Follow me on Twitter and on Facebook. Check out my website at www.ariewaldman.com.